Not every perfume can leave an "wow" factor every time you wear it. Calvin Klein Eternity Eau de Parfum is one of the rarest that does so. No matter on what occasion I wear it, I get compliments from others around. However, my take is a bit different. Eternity by Calvin Klein is reminiscent of arms draped in flowers. Envelop yourself in romantic tones and let your sensuality shine. Calvin Klein houses a wide range of fragrances that appeal universally, and it is one of those. 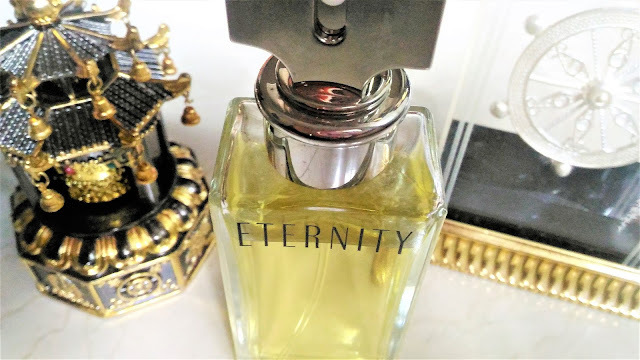 Packaging: The packaging of Calvin Klein Eternity Eau de Parfum is very simple yet classy- a long rectangular glass bottle with a silver horizontally placed bar pump. 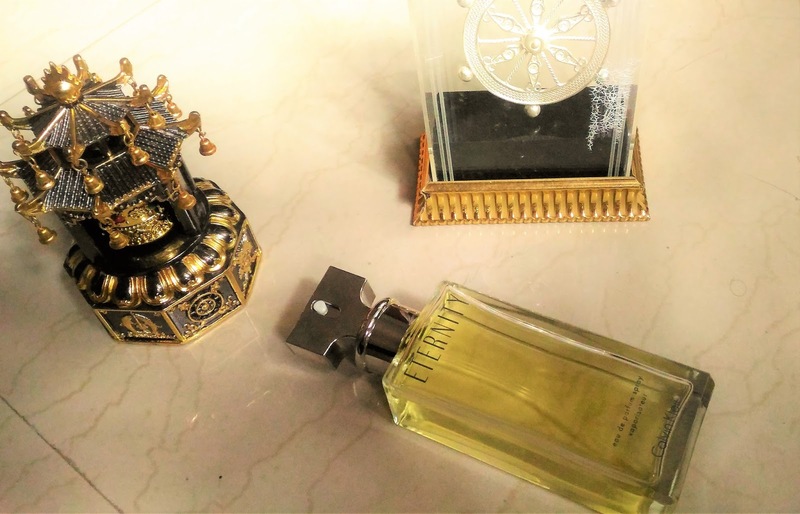 My experience: Being a floral fragrance lover, I should have been totally smitten by the overtly floral composition of the Calvin Klein Eternity Eau de Parfum. 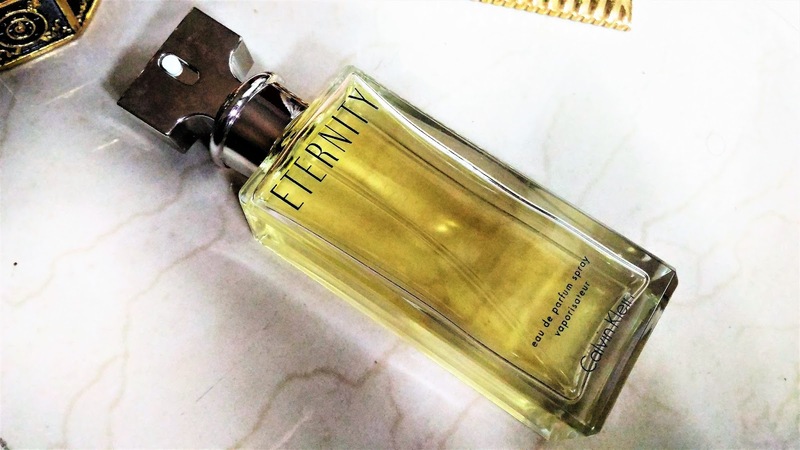 The top notes of the Calvin Klein Eternity Eau de Parfum consists of a citrus, tangerine mix with a bit of freesia and sage. The heart is a floral explosion with rose, jasmine, lily and daffodil. The base is more of woody notes with a blend of sandalwood, patchouli and amber. The interesting punch of so many notes, leaves behind a crispy classy one, with mostly citrus and woody endings. As a lover of floral fragrances I am not quite a fan but I cannot deny the fact that whenever I wear this perfume, I get only compliments. And staying power of the perfume is amazing with at least a day of the crisp notes lingering around your attire. Calvin Klein Eternity Eau de Parfum is for the woman who is confident in whatever she does, be it the Boss at office or the wild child on the dance floor. It speaks for the modern woman who lives life on her own terms. 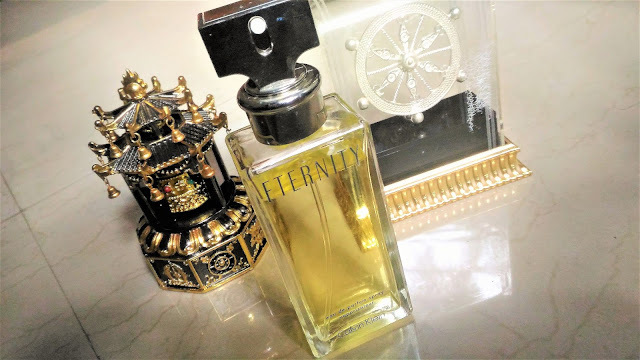 Calvin Klein Eternity Eau de Parfum is a long wear, universally appealing fragrance, for those who loves it clean and crisp. If you are a fan of floral fragrances, by seeing the composition you ,might feel that it has the abundance of floral notes, however, the notes more or less loiters around being citrus or woody.